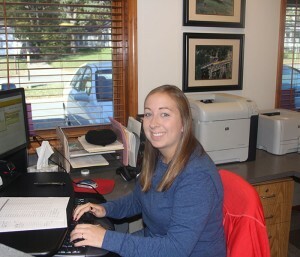 Jenna has been employed by CAS Associates, Inc. since 2004 in different departments and plays an important role in the Transcription Department. She reviews digital files as they arrive, assigns transcriptionists, and reviews exhibits and hearing logs. Once the transcriptionist completes the hearing, she will then review and certify the official transcript so it can be uploaded to the appropriate railroad/transportation customer. She works directly with our railroad/transportation managers to ensure accuracy and timely preparation. In addition, she communicates daily with our contracted transcriptionists in answering questions and providing them the support they require to produce a quality transcript. As time permits, she transcribes hearings.